We all have a thing. You know – a familiar way we react when we get emotionally triggered. Some of us are aware that we have a tendency to react in certain ways to certain situations. Maybe a close friend has brought this to your awareness. Or maybe you’re a seeker who asks the tough questions of ‘why’ and ‘how’. But sometimes it can take years, or even decades, of repeatedly stumbling into the same kinds situations, before we start to get some clues about what’s going on! The same arguments, the same missed opportunities, the same kind of people that seem to be drawn to you like a magnet! Lots of times, these things are beyond our control. . . AND lots and lots of times, when the same thing keeps showing up for you, there is a common denominator! (cue the ominous music) Your emotional habit patterns are often that (totally unconscious) common denominator. Emotional habit patterns are ways you react in your thinking and your body and behavior, which help you feel better short term, but may derail you long term. 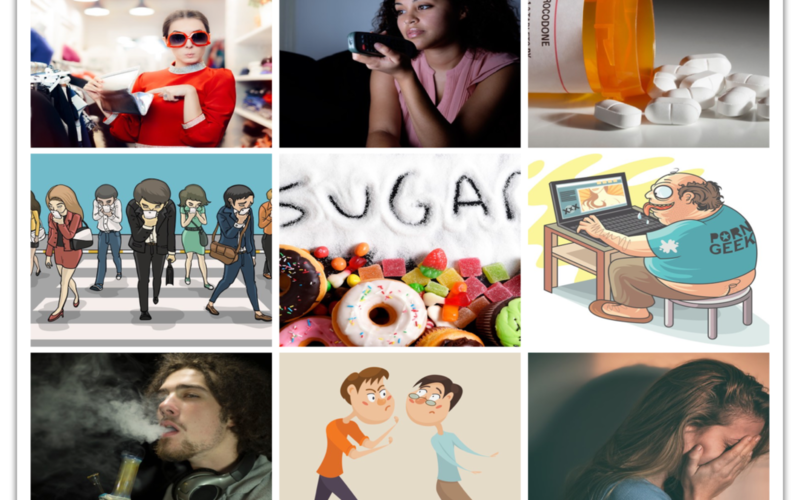 This is the launch of a new blog series, aimed at helping you start to get ahead of problems in your relationships and mental health, by helping you identify your own emotional habit patterns! Okay, I’ll go first. I haven’t shared much about myself in my blogs, but here goes. I grew up in a home with a lot of criticism, punctuated with episodes of physical violence. My way of dodging bullets was to be the peacemaker and do my best to rise above the criticism. Being the peacemaker was reinforcing because it lowered my anxiety and made me feel safer. Of course, I could never succeed entirely at keeping the peace and dodging the criticism. But I’m guessing I did succeed, just enough for the things I did and ways I thought to become emotional habit patterns for me. Emotional habits become habits precisely because at some point they totally worked in your life. At a certain point, that thing you do, or way you think worked to help protect you from unbearable feelings, or led to really good feelings! So you kept doing it. Get it? In my life, the excitement and the energy I get when I feel like I’m helping someone solve a problem is highly rewarded. People say ‘thank you,’ and smile at me, and generally send me good social signals when I help or even talk about helping. But like a rat in science experiments, that’s trained to push a lever for a reward, I just keep doing that same behavior. Sometimes to the point where it’s no longer the effective thing to do! Examples of ‘no longer effective’ include, jumping in to solve problems when someone just needs me to listen. Or over-offering where my help is not appreciated. And in the last couple of years, literally making myself ill by ignoring my own physical needs so I could keep getting my drug of ‘helping’. See how these emotional habits can get sneaky? That thing you do, that once worked really well, stops working at some point. And that is when problems (in our mental, physical, and relational health) start to emerge. Want to learn about your emotional habit patterns, so you can stop doing that thing you do? Can you be willing to do the brave work of taking a deeper look at yourself to see how you might be getting in your own way? Starting next week, and in the coming months, every other week, I’ll share with you some stories of the most common patterns that show up in my office. The stories will, of course, be collective examples, drawn from many brave souls, who have embarked on this journey called Mastering Adulthood with Mindful-Mastery. The big goal of this series is to highlight the Universality in the workings of our mind-body systems: To normalize and thus bring attention to the ways our unconscious patterns get programmed. We all have emotional blind spots and autopilot patterns that protect those spots: Just because you’re not aware of them, does not mean you don’t have them. Are you in? We’ll be using the key concepts from my upcoming book to help you start asking yourself that question you wish all your friends would ask them selves: What is that thing I do? 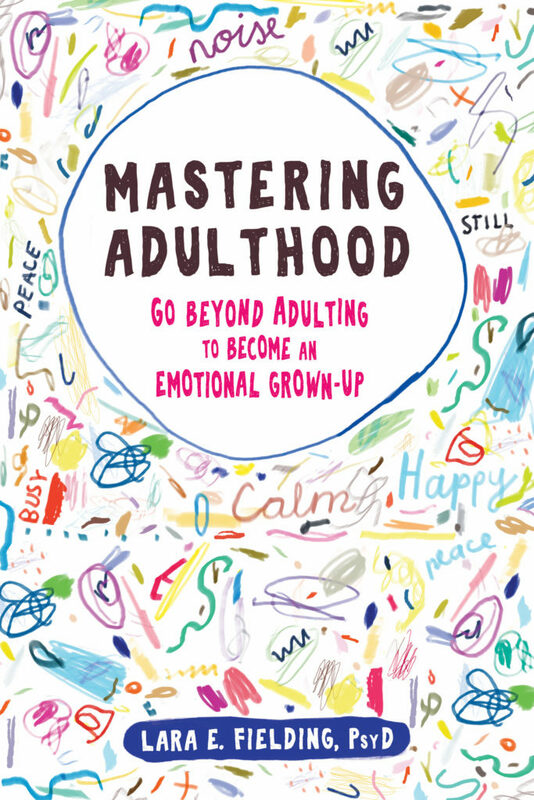 This blog is inspired by Dr. Fielding’s upcoming book: Mastering Adulthood: Go Beyond Adulting to Become an Emotional Grown-Up, which includes QR code linked skill videos to guide you on your journey of self-discovery and emotional self care! To get the blogs, AND a free skill video, straight into your in box, sign up for the Mindful-Mastery SKILL WEEKLY newsletter. Or check back here next week for the first post: The Perfectionism Pattern. We can also hang out on Facebook, Twitter, or Instagram. Or YouTube for skills videos!